Autodesk's innovative C-FACT (Corporate Finance Approach to Climate-Stabilising Targets) methodology is a business- and environmentally-friendly model to help companies set targets for greenhouse gas (GHG) emissions reductions. We encourage companies to adopt and build upon this open source approach to reducing their corporate carbon footprint and improving corporate sustainability in line with global scientific and economic-based goals. Autodesk recently extended the C-FACT methodology to help cities create climate-stabilising targets. Discover how the four-step C-FACT process makes it easier for companies to set targets to reduce corporate GHG emissions. If all companies were to adopt the free C-FACT approach and meet the targets defined by the methodology, private-sector emissions would be on track to help stabilise the climate by 2050. Autodesk has committed to following the C-FACT approach until the year 2020. We publish our progress in reducing our corporate carbon footprint against our annual target at the close of each fiscal year (FY). 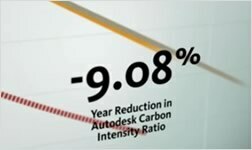 In FY 2014, Autodesk achieved a 38.1% reduction in absolute emissions compared with our FY 2009 baseline, exceeding our C-FACT target of a 23.4% reduction. 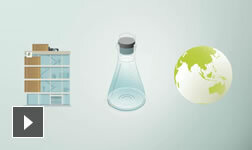 For more information, comments or questions about C-FACT, please email us at c-fact@autodesk.com. How does the C-FACT methodology work? Why did Autodesk develop C-FACT? What inspired the development of C-FACT and who did Autodesk work with to develop the methodology? What types of organisations are considering C-FACT? Does C-FACT qualify for the EPA Climate Leaders's target-setting process? How does C-FACT relate to scientific goals for mitigating climate change? How does C-FACT enable adaptation to changes in financial forecasts? What's the benefit of using a carbon intensity method versus an absolute reduction method? It appears that the C-FACT methodology enables you to justify an increase in carbon emissions while advocating climate stabilisation. Can you explain that? Which types of emissions are considered in the C-FACT methodology? Does C-FACT use “real” or “nominal” values for revenue and GDP growth rates? Why? Verifiability. C-FACT uses only publicly available financial and GHG disclosure information, enabling 100% verifiability and transparency of measurements, metrics and performance. Flexibility. C-FACT methodology adapts to changing economic conditions, changes in business and inevitable deviations of real performance versus intended financial and GHG targets. Fairness. The C-FACT approach acknowledges that corporate commitments should be proportional to their relative contribution to the economy, not to the corporation's existing size and corporate carbon footprint. The principle recognises that GDP growth is correlated with emissions growth and doesn't penalise a company if it begins to contribute a greater proportional share of GDP (for example, capturing market share). Autodesk recently extended the C-FACT methodology to help cities create climate-stabilising targets (US site) in a similar way, allowing them to create plans for reducing a city's GHG emissions in line with global scientific and economic-based goals. Calculate. Divide the company's GHG footprint by its contribution to GDP, as measured by gross profit (or EBITDA + Operating Expenditures for non-profit organisations or start-ups and other cases when a company is not generating revenue) divided by world GDP and approximate growth rates up to 2050 using analyst or internal financial forecasts to derive the Carbon Intensity Reduction Rate. Commit. Select a time frame and commit to a target publicly. Annualise. Translate the carbon intensity reduction goal to corporate and division-level absolute targets. Annualise the GHG reduction goals over the commitment period to reduce the short-term volatility and derive annual reduction goals. Adjust. At year end, take into account new numbers for GDP, actual financial performance and actual carbon footprint and make adjustments. Diffuse positive or negative deviations from the GHG target over a fixed number of years. The C-FACT white paper walks you through this methodology using real numbers. Email us at c-fact@autodesk.com if you would like to receive a free Microsoft Excel template to help you to follow the C-FACT methodology. By modelling sustainable business practices, including best practices on carbon accounting and target setting, Autodesk inspires peers and business partners to adopt leadership positions as sustainable companies. 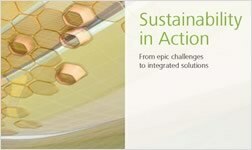 Learn about Autodesk's sustainability practices, including its corporate carbon footprint, corporate environmental management system and governance, emissions reduction projects, work with vendors and the use of Autodesk software to measure and reduce emissions. Autodesk consulted with the US Environmental Protection Agency (EPA), the Climate Group, the World Resources Institute and Clear Carbon Consulting to develop C-FACT. Inspired by British Telecom's Climate Stabilisation Intensity model (US site), the C-FACT methodology simplifies and adds flexibility to the concept that corporate carbon emissions should be set relative to a company's economic added value. Over 100 companies, large and small, have downloaded the C-FACT methodology spreadsheet and are testing it right now. Major companies like EMC and SAP have customised C-FACT to fit their needs. The C-FACT methodology allows a company to project its absolute reductions over a selected time horizon and therefore complies with the requirements of the EPA Climate Leaders (US site) programme. The IPCC has called for industrialised countries to reduce GHG emissions by 85% by the year 2050 to help stabilise the climate. To address this issue Autodesk derived a corporate target using the C-FACT methodology, which first sets the initial trajectory based on the prevailing climate science and then back-calculates the intensity reduction rate needed to meet the scientific community's stated 2050 climate stabilisation goal. The company's environmental performance is measured annually against this target to identify and address any deviation from this path. It allows companies to plan appropriate investments. For instance, a company may wish to invest in a new GHG reduction technology (for example, solar panels) requiring capital outlays. In this case, error diffusion helps to account for reductions that would come further downstream. It holds companies accountable to committed targets and forces them to compensate for missing their targets in a short time span. As a result, a company's underperformance doesn't accrue over a long time, jeopardising its climate-stabilising trajectory. Climate scientists and policy experts recommend that industrialised countries take the lead in reducing emissions, recommending an approximate 85% absolute GHG reduction by industrialised countries by 2050. However, despite good intentions and the best measurement and projections, it's likely that attempts by individual companies to set targets 40 years out in order to achieve absolute 2050 goals would be arbitrary and inaccurate. As a result, many corporations set simple intensity targets, using revenue or the number of employees as the denominator. In contrast, C-FACT's intensity metric allows a company's corporate carbon footprint to grow as their profits grow, but in relative proportion to world GDP. The underlying logic is that, as one company grows at a faster pace than the economy as a whole, other companies are shrinking in proportion. While all companies must be accountable for their share of total absolute emissions reductions by 2050, the burden can shift between several companies over a 40-year span of time based on their fair share of the economy (and their fair share of emissions). This more nuanced approach to intensity metrics also better accounts for business changes through acquisitions and divestitures than simple intensity metrics based on revenue. To achieve climate stabilisation, climate scientists indicate the atmosphere must reach 350–450 ppm carbon dioxide concentrations by 2050. In order to reach this target, scientists have set absolute emissions reduction targets for the world economy as a whole that are unrelated to GDP growth, recommending that industrialised countries reduce their GHG emissions by 85% by 2050 and developing countries reduce their emissions by at least 50%. However, if we look inside the greater world economy, which is growing at a steady state, we can see that individual companies grow (or shrink) at wildly varying rates. A quickly-growing company is therefore counterbalanced by one or more companies that are declining. There is no way to predict how much each company within the world economy will grow or shrink in a given decade, therefore setting an absolute target for each individual corporation doesn't make sense. As an extreme example, imagine a company grows at an excessive rate and takes over the entire global economy by 2050. Its 2050 footprint (which would equal the world's entire corporate carbon footprint), could be 85% lower in total (that is, climate stabilising), but would be many times its baseline footprint and therefore look like an increase. Therefore, the C-FACT methodology accounts for a company's relative contribution to global GDP in setting emissions reduction goals. C-FACT is a methodology for GHG target-setting and doesn't take specific GHGs into consideration. It's applicable to Scope 1, 2 and 3 emissions, as defined by the GHG Protocol (US site) established by the World Resources Institute and the World Business Council for Sustainable Development. As part of Autodesk's commitment to model sustainability best practices, we include a large range of business activities in our corporate carbon footprint, including Scope 3 emissions (such as leased facilities, business travel via air or car rental, employee commuting, events and data centre vendors), to better understand how our business activities influence our vendors's carbon footprints and extend our influence to improve our vendors's impact on the environment. Because most financial projections are in “nominal” values, C-FACT uses nominal values for financial projections and current values for GDP per the IMF World Economic Outlook Database. Converting them to “real” dollars would have introduced an additional layer of financial modelling complexity and would make comparisons across industries or companies difficult, as companies could be using different base years. There is no standard base year for GHG footprinting across companies.